Psst! Hey, you! Yeah! You. Do you want some 'Charlie'? It's good stuff, man. Grade A. Worth about a 'Wyman' on the street. 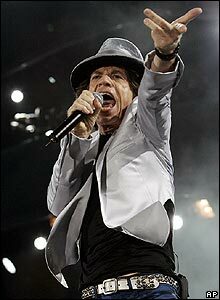 But I'd give it to you for a 'Jagger', OK? HUH? What's that? No! I won't accept a 'Wood's' or a 'Richard's' in any given month! Moreover, don't even think about offering me a 45-minute review show produced by the BBC in 2012! You numpty. Hurrah! 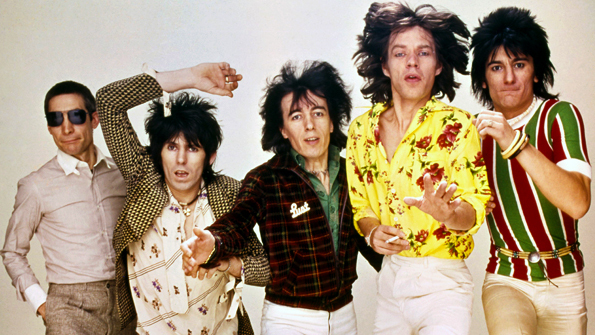 The Rolling Stones have reached their 50th anniversary as a group. So in their infinite wisdom, the British Broadcasting Corporation have decided to commemorate this grand occasion, by producing a rather nifty program showcasing just a few of their performances on their channel. Now scattered throughout this anniversary special, you can also see snippets of interviews either Mick or Keith have partaken in. These are the interviews in question. I've just come back from a school recital, where two of my Godchildren sung in a choir held at a local church. Now if I do say so myself; it wasn't a bad little shindig really. Sammy -- the oldest of my Godchildren -- pranced about as if she was on an 'X-Factor' audition. Whilst Fiona -- the second of my many Godchildren -- tried her best, even though she did come across as if she was a politician miming in a rave. Still, who am I to talk, huh? I wasn't on good form myself. During the 'audience participation' part of the evening -- where the Mums, the Dad, and the 'Godfathers', all had to join in with the festivities -- my mind went off on a tangent, and I sung a song that I shouldn't of. Here, let me explain to you what I did by paraphrasing a conversation I had with my Goddaughter, Fiona, after the event. FIONA: Godfather? What was that song you were singing? It defiantly wasn't 'Rudolph the Red Nosed Reindeer'! ME: No my little princess. It was a song called 'Jumpin' Jack Flash'. FIONA: Oh! I thought I heard the word 'flash' when you sung. Was it by that band you showed me on YouTube? What were they called again? 'TheMonkees'? ME: No. Not the 'The Monkees' my little frog-faced urchin. It was 'The Beatles'. And it wasn't a song sung by them. It was a song sung by 'The Rolling Stones'. FIONA: The Rolling Stones? Are they new Godfather? It sounded new. ME: Ha! 'The Stones' aren't new. They're fifty years old, princess. FIONA: Oh! So why did you sing that 'Jack' song then? Mummy told me you cut down on your medication. ME: Shhh! Don't mention the med's 'kermit'. And as for the reason why I sung that song -- well -- I got a bit confused for a moment -- and I remembered a show I watched commemorating their union just the other day. FIONA: OK, Godfather. I see. A show. It must have been a good one then, huh? Or otherwise you would have forgotten about it. ME: Yeah. It was OK my merry bundle of Kryptonite. Some songs where smashing. Other songs were not so smashing. Whilst one song in particular I couldn't get out of my poxy head. FIONA: The 'Jack' song, right? ME: Yes my little damsel of destruction. The 'Jack' song. It's stuck in my noggin like shiiii... errr... sugar to tea. FIONA: Why is it stuck? ME: I like it. That's why I suppose. FIONA: Why do you like it? ME: Errr. I just do. In the same way you like that singer who wears meat on her head and looks like a prostitute. FIONA: You mean 'Lady Gaga', don't you? ME: Yeah! Whatever her name is. I like 'The Stone' in the same way you like 'Dutchess Gogo'. Except they have talent, longevity, words in their songs you can understand, and a lot of stamina. FIONA: Oh no! You're going to show me some footage on 'Youtube' now, aren't you? And explain to me why 'The Rocks' plays proper music; in the same way you told me about 'The Monkees'. Now before I shuffle off to pastures new. 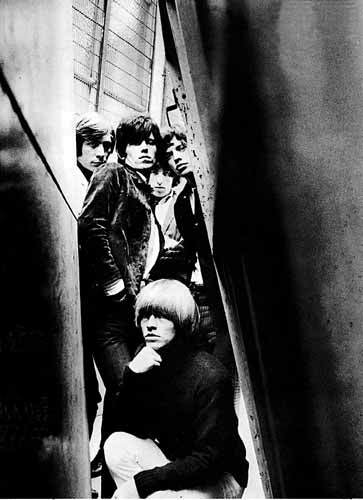 Let me just state for the record that 'The Rolling Stones at the BBC' wasn't a bad program to watch. It did its job; by playing a lot of very timely musical clips, filling up my noggin full of Jumpin' Jack Flash -- Its a gas, gas, gas!